With it's Quad Bike insurance, you can compare quotes online from a wide range of approved insurers to help find a policy that meets your needs and at an affordable price. With a knowledgeable UK call centre with years of experience, available 7 days a week, the it's Quad Bike team can assist with any quote or query. it's Quad Bike work with a wide range of insurers, providing affordable insurance for quad bikes and finding the right quad bike policy for your needs. What can it's Quad Bike offer me? Quad bikes are not conventional vehicles, which can often make them difficult to insure. 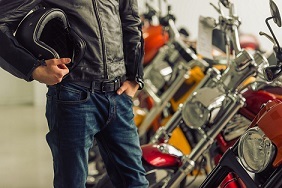 Most insurers won’t even offer cover for these vehicles because of the risks associated with riding them, especially when it comes to making them road-legal. That’s where it's Quad Bike can help. Certain members of their panel may be able to offer you quad bike insurance policies, dependent on the model you own. Click the ‘Get a quote’ button above to be taken through to the it's Quad Bike page, where you can enter your bike details and start comparing quotes. Because they are a unique vehicle and carry a unique set of risks for riders, insurers and the public, it can often be difficult to find insurers willing to cover quad bikes. For the same reasons, the government have a set of rules in place governing how quads should be used, which you can find on the GOV.UK website. 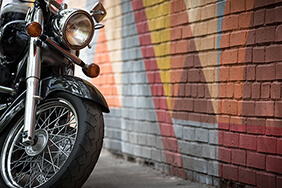 With unconventional vehicles such as these, it’s important to thoroughly do your homework on the rules and regulations governing their safe and legal use before riding. Click the ‘Get a quote' button above to start finding the right protection for you and your quad today. 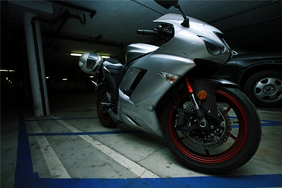 Did you know that this motorbike has sold the most units compared to any vehicle ever made? Confused Quad Bike Insurance is administered by it’s Quad Bike Insurance Services. it’s Quad Bike Insurance Services is a trading name of Grove & Dean Ltd, an independent intermediary who are authorised and regulated by the Financial Conduct Authority under firm reference number 307002. Our service is free and compares quotes from specialist Quad Bike insurance brands provided by Grove & Dean Ltd. Confused.com is an intermediary and receives commission from Grove & Dean Ltd. if you decide to buy through our website.